Melbourne’s arts and entertainment quarter is a hive of activity over summer. With exhibitions, festivals, concerts, sport and theatre, it is no wonder Melbourne has been labeled the culture capital of Australia. We’ve matched some of the hottest events with the tastiest cocktails from a selection of Southgate’s many riverside restaurants and bars. All venues are within walking distance to Melbourne’s arts precinct, Royal Botanic Gardens and Sidney Myer Music Bowl and a short water taxi to the city’s premier entertainment quarter, including the Australian Open. Featuring the work of over 100 artists and designers from 32 countries, the NGV Triennial brings the world of art and design to Melbourne as seen through the eyes of some of the most creative minds working today. Pure South Dining’s glorious Risky Sour cocktail – their take on the Amaretto Sour – will inspire and evoke creativity with its wistful blend of Makers Mark bourbon, Amaro Montenegro, lime juice, sugar syrup and emulsified egg white topped off with a twig of smoked rosemary and dehydrated apple. Pure South Dining is located on the River Level, 3 Southgate Ave, Southbank. Melbourne 3006. The NGV Triennial is on until 15 April. Free entry. Visit https://www.ngv.vic.gov.au/exhibition/ngv-triennial/ for more information. Meet early at riverside spot Waterslide Bar for a vegan friendly tipple that’s made to share. This refreshing summer favourite blends vegan ginger beer with fair trade gin, lemongrass and organic ginseng… keeping you hydrated and energised with a hint of sparkle. Share a carafe with friends, before taking a scenic stroll to see the gardens lit up at night, alive with nymphs and fairies for Shakespeare’s A Midsummer Night’s Dream. Joining them are lovers and fools, preparing you to reel with laughter as you lay back to watch this masterpiece. A Midsummer Night’s Dream is on until 3 March at Royal Botanic Gardens, Melbourne. Visit the Australian Shakespeare Company website for tickets and more information. Get ready for the most thrilling and highly anticipated sporting event of the summer. The Australian Open 2018 takes over Melbourne over two adrenaline-charged weeks jam-packed with the world’s best tennis players. Whether you’re a die-hard tennis fanatic or just after a fun day out, start your day off in style at waterfront hotspot BearBrass before cruising along the Yarra River on board a scenic water taxi that drops you off directly in front of Rod Laver Area. The Breakfast Package ($35) and Lunch/Dinner Packages ($55) include a set menu, a beer or wine plus return WaterTaxi Tickets. Bargain! BearBrass is located at Shop G3A On the River, Southgate Melbourne, 3 Southgate Avenue, Southbank, Victoria 3006. Group bookings are advised. Call 03 9682 3799 or email bb@bearbrass.com.au. The Australian Open is on until 28 January at Melbourne Park. Visit https://ausopen.com for tickets and more information. Midsumma Festival is Melbourne’s 22-day celebration of queer arts and culture, returning from 14 January with a spectacular program of over 170 Midsumma Festival events in over 100 venues. We’ve got the perfect Tutto-fruity way to start the day before heading to the colourful festival full of visual arts, performance, film and parties. 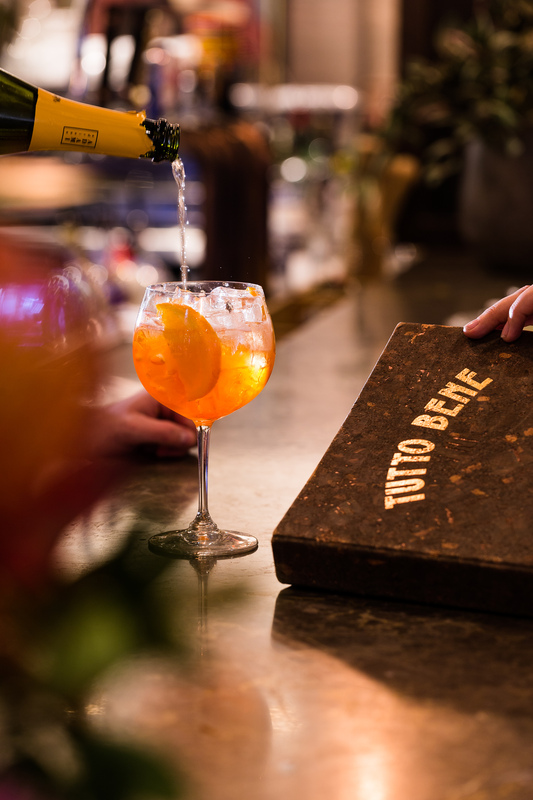 Restaurant & Catering Australia’s ‘Best Italian Restaurant 2017’, Tutto Bene has put a twist on the quintessential summer drink with the Furlan Aperol Spritz. 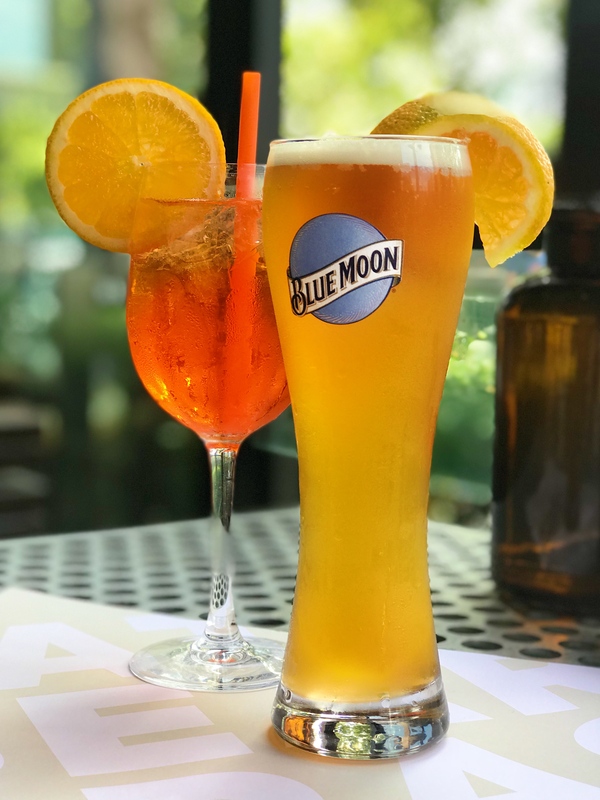 This refreshing drink combines orange gelato from their award winning Gelateria, ice, orange segments, Aperol, Furlan Prosecco and soda, served up in a decadent Pinot Noir glass. 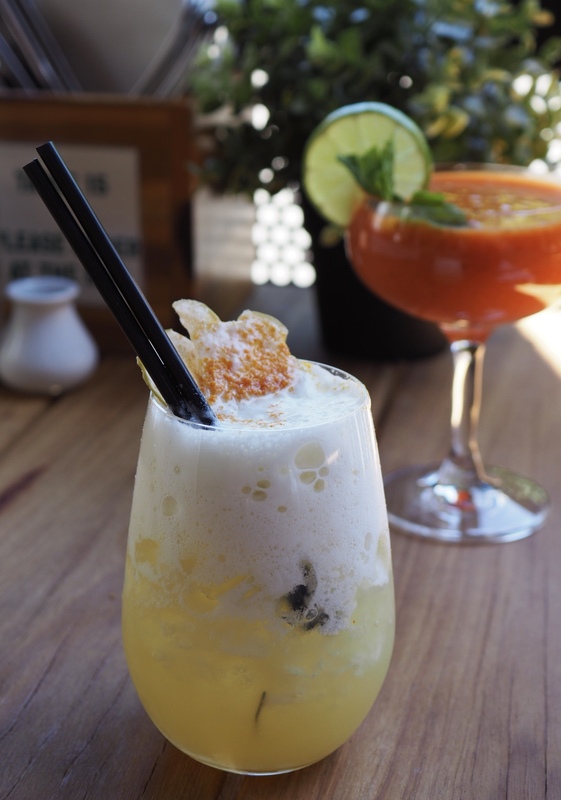 Best enjoyed on the Tutto Bene Terrazza overlooking the Yarra River, before heading across to the Alexandra Gardens. Tutto Bene is located on Southgate Melbourne’s 3 Southgate Avenue, Southbank, Victoria 3006. Midsumma Festival runs from until 4 February at the Alexandra Gardens, St Kilda Road, Melbourne. Visit https://midsumma.org.au for the full program. Melbourne’s beloved festival of cutting-edge music and immersive visual arts is back for 2018. Sugar Mountain will once again transform the Victorian College of the Arts on 20 January with headliners Cut Copy taking the stage. Also on the lineup is ‘Devastated’ rapper Joey Bada$$ (USA), rising Chicago R&B star Jamila Woods (USA), London rapper J Hus (UK), beatsmith Actress (UK), experimental pop prodigy Laurel Halo (USA), Chicago DJ/icon Honey Dijon (USA) and one of the most highly respected DJs in the world of house and techno, Gerd Janson. Round up your crew and take in the a riverside views at Southgate newbie P.S Bar + Kitchen (the more laid-back version of their fancy sister upstairs) and order a round of their Tassie Summer cocktails. 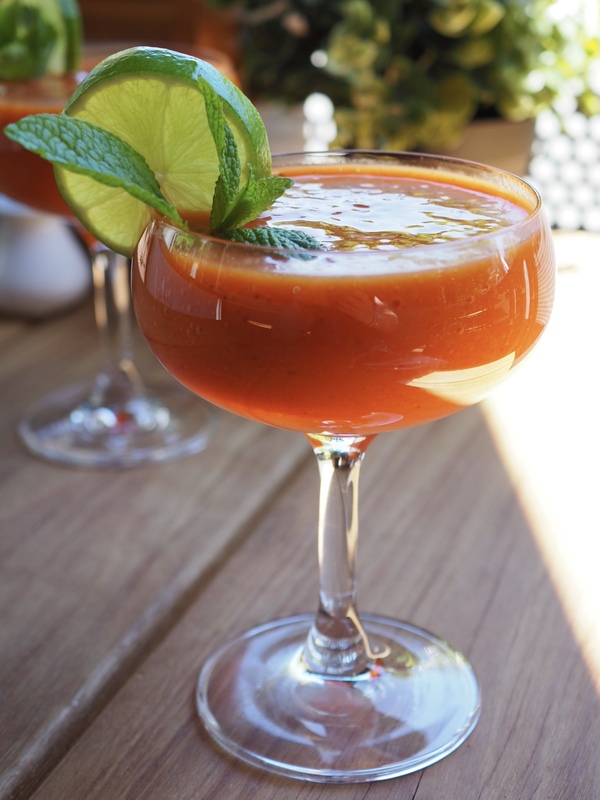 Mount Gay Eclipse Rum is paired with lime juice, strawberry puree, mango puree and mint leaves. Refreshingly light and the perfect pairing to brunch, this beauty will set you in good stead for the big day of dancing ahead. P.S. 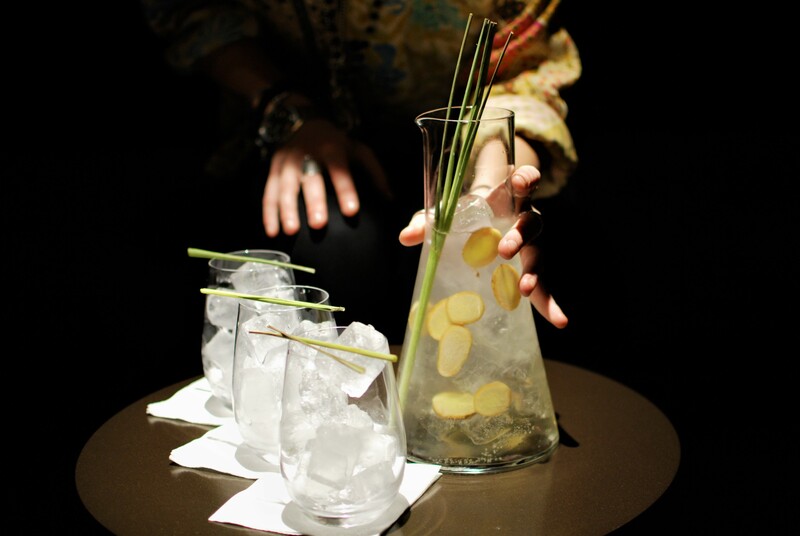 Bar + Kitchen is located on Southgate’s River Level, 3 Southgate Ave, Southbank, Melbourne 3006. Sugar Mountain Festival is on 20 January and the Victorian College Of The Arts, 234 St Kilda Road, Southbank. Visit https://sugarmountainfestival.com for more information. Take in the sweeping views from The Deck’s balcony whilst enjoying their Rare Canary cocktail. 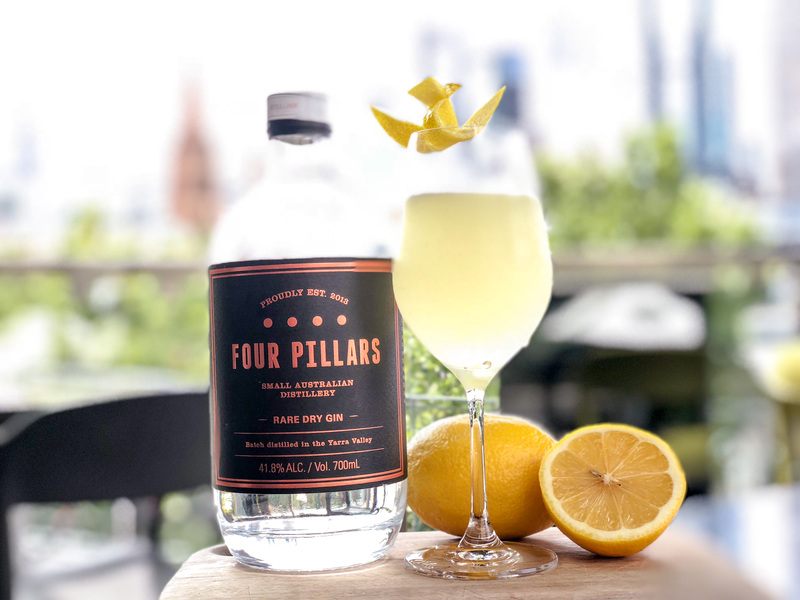 Great theatre is best accompanied by simple and creative cocktails: made from local producers, the Rare Canary combines Four Pillars Rare Dry Gin with La Zona Prosecco from King Valley’s Chrismont winery, topped off with zesty lemon. The Curious Incident of the Dog in the Night-Time is must-see for theatregoers, having won five Tony Awards and seven Olivier Awards, including Best Play for both. The West End and Broadway smash hit is having its Australian premiere in Melbourne. The story follows fifteen-year-old Christopher Boone, who has an extraordinary brain – while exceptional at maths, he struggles to interpret everyday life. The Deck is located on Southgate’s Upper Level, 3 Southgate Avenue, Southbank, Victoria 3006. The Curious Incident of the Dog in the Night-Time is on at the Playhouse, Arts Centre Melbourne until 25 February. Visit http://www.mtc.com.au/plays-and-tickets/season-2018/the-curious-incident-of-the-dog-in-the-night-time/ for more information.